XOLO will soon launch its new flagship tablet named as Xolo Play Tegra Note. It comes powered by NVIDIA TEGRA 4 processor. 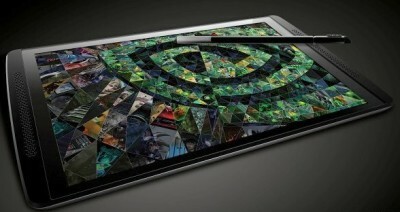 NVIDIA Co founder, President and CEO Jen-Hsun Huang showed off the Play Tegra Note tablet at an press conference in Mumbai. The Xolo Tegra Note will be launched in mid-October and would be priced under RS. 20,000. The Xolo Play TAB 7.0 tablet powered by Tegra 3 would come this month with 7inch display. The Tegra Note tablet comes with a 7-inch IPS display at 1280c800pixels to delight users eyes and it supports NVIDIA DirectStylus technology. So it comes with a stylus. The TAB comes with front- facing stereo speakers with HD audio output and bass-reflex port. It has 5 megapixel rear camera and a 0.3 megapixel front facing camera and runs on Android 4.2 jelly bean operating system. To make the device lag free and approachable to user there is 16GB ROM (internal memory), 32GB via micro SD card, 72 core GeForce GPU and the 1GB RAM. It comes with WIFI, Bluetooth micro HDMI port and micro USB with OTG support. The Play Note is powered by 4100 mAh battery, which offers 10 hours of HD video playback. HP SLATE 7 Extreme also comes with similar specs and features, actually it is the same. Xolo Tab and Micromax Canvas TAB P650 is already in hype from the time it is launched. Xolo Play Tegra Note would be more sturdy if launched at affordable price. Panasonic refreshes Let’s Note Lineup, says LX is the World’s lightest 14-inch notebook Spice Coolpad Mi 515 5inch Quad core phablet launched at Budget price of RS 9990 .